Superdry men's Sport backpack. The perfect bag for storing all your workout essentials, the Sport backpack features a large main compartment with zip fastening, twin side pockets and smaller front compartment, perfect for keeping your keys and headphones in. The backpack also features Superdry branded zip pulls and reflective detailing on the side pockets. 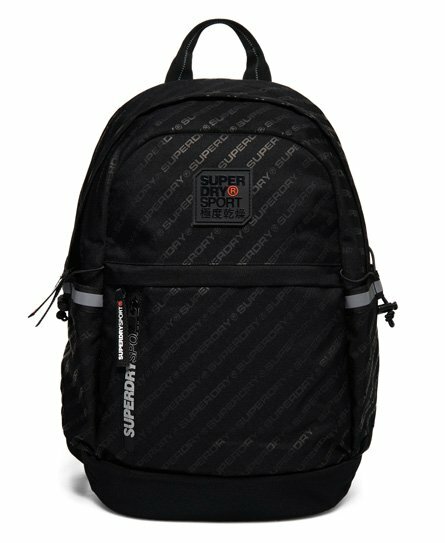 The Sport backpack is completed with a Superdry Sport logo badge on the front and padded back and straps for ultimate comfort.